Text or textarea. In the "Text" type you have one line for input, in the "Multiline Text" type – more than one line. Number – a field for entering numbers. For example, enter the quantity of goods, days etc. The number can be positive, negative or fractional. Price – the field for entering the price. For example, the cost of service. When filling this field, the currency specified in the portal settings will be automatically prefilled. Date or date and time – the fields for entering the date and time. For example, you can specify the date and time of delivery. 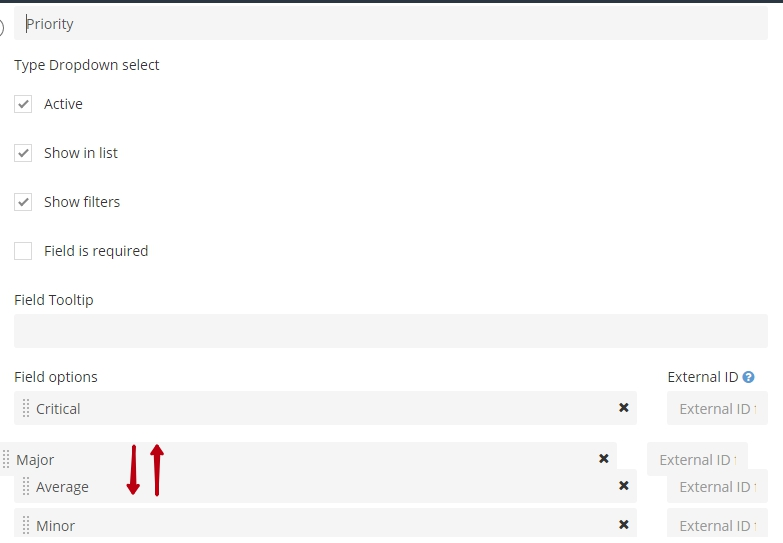 Dropdown select – the type of field to create multiple options for selection. After entering the data, change the sequence of the options if necessary. File – you can upload any document to the system or attach it from Google Drive. User – a field for selecting a user from the system. For example, you can specify a user to whom you need to provide a report about the completed work. Yes / no – you can use, for example, as confirmation of sending reports to the client. CRM Account or separately contact and organization – fields for choosing an account from CRM. 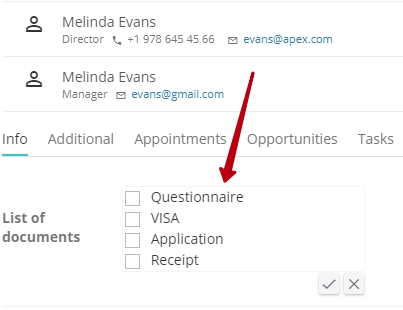 If you only work with contacts, you can select the "CRM Contact" type. Link to record link. A reference to a record (item) of an existing user list. Project – allows linking any object of the system with an existing project in the system. Number auto increment – a field for automatically assigning a number to the created records or objects of the system (opportunity, projects, accounts). In the settings of this field, you can specify a prefix and the starting number. 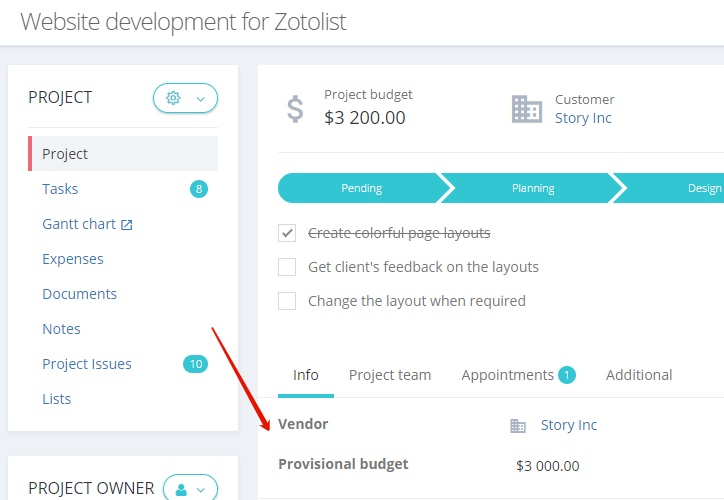 After creating the fields, you can sort them in the order in which you want them to be displayed in the cards of accounts, transactions, projects.